This Friday night, the Kalamunda Eastern Suns will make their maiden club Grand Final appearance, against the Wanneroo Wolves, in the WSBL season decider. 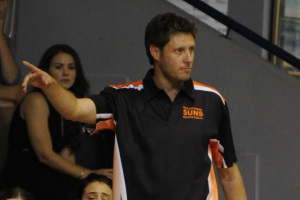 Suns coach Craig Mansfield has been involved with the Eastern Suns since 2003*. Upon his return, in 2005, from College in the USA, and with the association slowly gaining momentum, Craig assisted his mother (Nicole Moyle- a famous Kalamunda basketball name) with the U/14 touring team that travelled to the Australian Club Championships. In 2006 and 2007 Craig coached WABL and was involved with the Kalamunda & Districts Basketball Association (KDBA) Committee planning the entrance into the SBL competition. Upon gaining entry into the SBL in 2008, Craig has been involved with the WSBL program every year, apart from a 12 month stint coaching the Men’s team in 2009. In the lead-up to the game this week, I (ST) was able to sit down with Craig (CM) and have chat about his thoughts on the season and this week’s game. 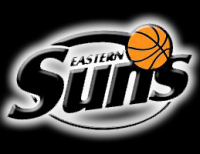 *The Swan City Mustangs, the team WSBL team that Craig coached, competed as the Eastern Suns in the D-League. 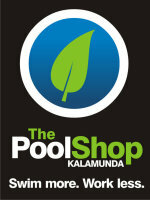 ST: Is there one game that stands out from the 2013 WSBL season? CM: Probably the regular season game that stands out the most is the opening night win over Perry Lakes Hawks at home. To win a game in overtime like that after not leading the entire night showed a lot of fight and character which made me feel positive with the direction our season could take. ST: Let’s rewind back to the 12th of July, 9pm, Lakeside Recreation Centre, you’d just lost your sixth consecutive game, what was going through your mind? CM: This might sound strange given we’d lost a few in a row before that but I was actually surprised to lose that game, particularly the margin. Full credit to Lakeside though, they had won 7 in a row or something like that and were fantastic that night. ST: What changed then, from the 12th of July? CM: There were no specific strategic or coaching changes that magically turned things around, we lost some close games and in basketball you are never as good or as bad as it seems. It was a challenging stretch for the team but I have to give the girls a lot of credit character wise; there was no complaining, no trying to dodge responsibility, no special meetings, they just stuck their head down and kept working hard. The only comment I would make is that we had a very challenging 8 – 10 weeks with niggling injuries and in trying to get players to games we were allowing some rest during the week, doing this consistently at trainings over a month or so started to catch up with us. We made the commitment to get people fully healthy even if it meant missing games and to play the athletes that can complete trainings. For about 4 weeks we started to have great practices without the results showing on weekends, but eventually this turned and the results are clear now. ST: The opponent this week, the Wanneroo Wolves, you haven’t beaten them all season, though last time you played, you lead for 37 of the 40 minutes? ST: Following last season’s Quarter Final appearance, when you sat down with the coaching staff to plan for this season, what goals had been set? CM: Isolating our team I always knew we would be competitive in 2013 if the girls continued to work and improve and we could find the right type of player and person for the import spot, as we headed into the season we felt top 4 somewhere for regular season finishing position (which we just missed) and then see how it plays out in the finals. But these aren’t the drivers in how we manage the program which is probably a little different to most SBL coaches. I’m very invested in Suns in a broad context and when I did my interview years ago I was clear that I wanted to build a women’s program for the club that was economically responsible and sustainable and provided pathways for players and coaches. I haven’t always got it spot on but we are heading in the right direction and I’m super excited for how our program is going to be structured in 2014, it will definitely be a first for WSBL in WA. ST: Jennie Rintala has been a fantastic addition to the team this season. Imports are sometimes ‘hit and miss’, but she has been an absolute hit? CM: Finding the right import can be tricky but I actually got very lucky with how we found Jennie. 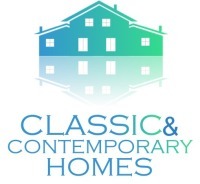 All the agents I contacted proved useless so I had given up and was looking independently. I was very familiar with the school and coach where Jennie went to college and just put out a shot in the dark. He recommended her with a glowing reference and then once I saw game film I was very keen. She’s been a great fit for our program in all areas; is professional, coachable, well liked amongst her team mates and has the speed and skills preferred to blend into our system. She’s been a blessing for Suns and our team. ST: You also welcomed back to the team, Sass Knox and Mel Moyle, they’ve been fantastic? CM: If it were up to me they would have never had a break, they’re both hard workers and wonderful players. Sass makes our line-up tougher physically and has a competitive edge, she plays above her height and is a tremendous rebounder and shot blocker. Melissa can play multiple positions with her range of skills; it has really given us the ability to play fast or slow, big or small and gives me lots of flexibility when rotating players, she’s played every position in our line-up at times this year depending on injuries and foul trouble. As well as that both were familiar with the girls, the coaches and the club. ST: What about some of the younger Suns players that have held their own this season, Jessie Edwards, etc? CM: Jessie Edwards has shown tremendous development this year, I’m very happy with her progress. She is a hard worker and a smart girl who is getting more experience. People don’t quite realise yet how athletic she is, her speed is phenomenal and it is exciting to think about how good she will be as a finished product. It’s not just Jessie though, there is plenty of room for improvement in our entire squad. Our Co-Captains are 23 and 20 and we have only one player that has crossed 100 games for the club, we have 7 contracted players who are 19 years of age or younger, the fact is that 90% of athletes play their best basketball in their late 20s and early 30s, we don’t have a single player on our list that won’t be a better player in 2016 than 2013 if they want to put the time in. It’s fun to think about really. ST: Having seen the Suns evolve from the very beginning, and doing that together with your family? CM: The club has been fantastic for me and my family and my involvement came along at the right time for my coaching, I was heading into my late 20s and had learned a lot and matured (still plenty more of both to do I'm sure) from when I started in my younger years. 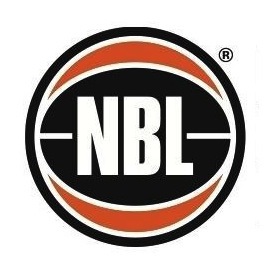 Returning from America I had settled on living in Australia and was looking to be involved in State Teams (the club has always endorsed and supported my involvement with State Teams even though it has required me missing SBL games every season and I’m very grateful for that) and SBL instead of continuing to live in other countries or states. ST: The ‘Mansfield’ name is synonymous with the Kalamunda Eastern Suns, How special is this Grand Final appearance for you? CM: Having been around the club for nearly 10 years now the question is a little embarrassing. 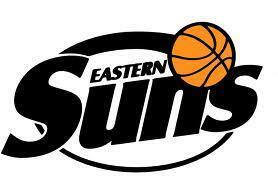 There are many, many surnames and people who have committed and volunteered as part of KDBA or KE Suns far more significantly than me, I’m very lucky with how I get to contribute to the club, but there are countless jobs that are done each and every week without ask of thanks. Just in my time I could easily rattle off two dozen surnames of people whose commitment and work far exceeds mine. I will admit there is some satisfaction for me having been in the meetings with Basketball WA when we were trying to break into the league and having been at the very first WSBL pre-season training session. Mostly I’m happy we have a program building and I would love to get a grand final win for the girls. ST: Looking ahead, momentarily, the 2014 Suns team, will it be the same, with the same Coach? CM: Well I’m contracted for next season so assuming the club doesn’t give me the flick I’ll be as excited as ever to be part of 2014, I’m also really hoping that Sue, Shaun, Greg and Kevin are back for the ride as well. As for players, I understand pragmatically that our team is hard to break into and each player needs to plan their goals for 2014. We will try to help with this process and hopefully everyone’s goals align but a certain amount of player movement will always be part of sport and there is nothing wrong with that. There is, however, a big correlation between staying together and performance and I think this group can play at a high level for many more seasons. I can honestly say that I dearly love every player who has been part of our program this year, I hope they understand they are what makes coaching worthwhile, I consider them family and we are nothing without everyone’s effort and sacrifice. Sorry, I’m getting a little sentimental here, so maybe I’ll just get back to focusing on the Wolves and our game Friday night. ST: Craig, well done on a fantastic WSBL season and good luck for Friday night’s Grand Final! CM: Thanks, we’ll give it our best shot, GO SUNS!